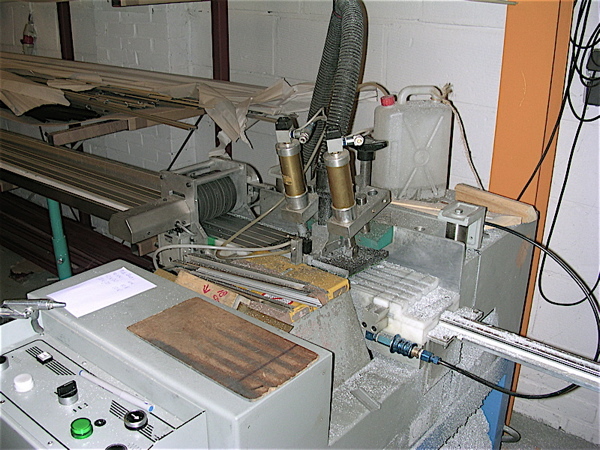 To feed your crimping with enough frames, we have built a special sawing-machine. It saws 4 moulds per cut and cuts over 2400 parts per hour. The construction is built upon a machine with horizontal moving blades. It avoids any bad influence of vibrating, to get the best cut products. In our process, we are still developing this machine further, to improve it further, with automatic feeding and offloading the parts. This machine is built safe and according to the highest technical requirements. It can also be used by persons with physical disabilities. It will boost your production and save your costs!